Roger's Piano offers both new and pre-owned pianos in every style: upright, baby grand, grand, digital and the exotic, including an impressive number of fine piano brands. With its piano ‘matching’ program, you will also find pre-owned or factory refurbished Steinway (both American and German made), Boston, Yamaha, Kawai, Baldwin, Petrof, Samick, Young Chang and many more. In addition, they have introduced a piano rental program which is an excellent starting point for people who are interested in learning to play the piano but are not necessarily sure about fully investing in purchasing a piano up front. Johnson String Instrument performs instrument restorations and repairs, as well as bow rehairing and repairing. They also provide appraisals for instruments purchased from Johnson String. In addition, they have a comprehensive rental program and stock an extensive selection of books, sheet music, Suzuki materials, cases and accessories. 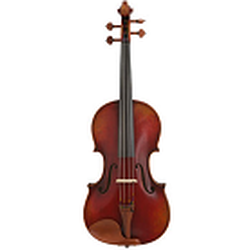 If you need anything for your violin, viola, cello, or bass, they have it! Strike Up The Band stocks everything from classical music to current pop hits, as well as lesson and method books, flash cards, games, and instrumental play-along books. They also carry a wide variety of instrument accessories, including woodwind reeds, brass cleaning supplies, mutes, metronomes, tuners, and percussion equipment. Bushell Piano Movers & Moody Piano specializes in the moving, sales, and service of pianos. M. Steinert & Sons in the Natick Mall can help you choose a piano that is right for you. Please contact Vivian Handis at vivianh@msteinert.com. Vivian's knowledge about pianos, paired with her background in teaching and excellent customer service, provide for a special personal approach. Be sure to ask about M.Steinert's exclusive rental offer for students of Note-worthy Experiences Music Studio. 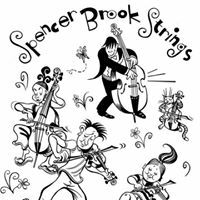 Spencer Brook Strings offers stringed instrument rentals, and sales. Call for hours or to make an appointment. Osmun Music specializes in horn, brass, and woodwind sales and service. 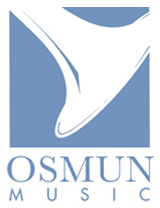 Osmun also offers a comprehensive selection of instrument accessories, custom mouthpieces, and instrument cleaning supplies. Mr. Music was founded as a small retail store in Allston, Massachusetts dedicated to providing the latest in guitars and musical equipment. By 1996, Mr. Music expanded with the launching of a website coolguitars.com attracting customers outside of the Boston area. Today, Mr. Music is a retailer dealing in new and used electric and acoustic guitars, basses, vintage and collectible instruments and amps. Along with its original location, Mr. Music now manages its online Ebay auction site, current e-commerce website and ships products world wide.